Rachel is an 11-year-old student of the Sarah McLachlan School of Music. She has been a member of the Junior Choir program for three years and has performed in various productions and open mic events hosted at the school. She is also an avid dancer and enjoys giving live performances to her family and friends. Native to Vancouver, Zabrina inherits the love of music and art from her parents. Her music education began at age 4, and with Kodaly and Suzuki methods. 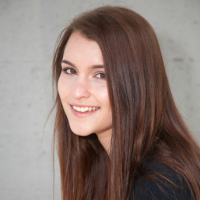 She has had the opportunity to study voice, violin, piano, ukulele, guitar, and participate in musical theatre, dance, ensembles, various choirs, and bands. 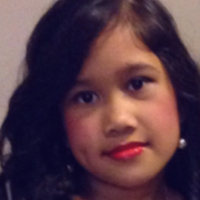 Zabrina enjoys live performance, recording herself with friends, and making Youtube videos. Zabrina has been a student at the Sarah MacLauclan School of Music since 2011 and was recently awarded a four-year scholarship to the Berklee College of Music. “A honey-laced voice with peachy summer day melodies over stick-to-your-ribs beats & sub-synth harmonies’’ the daughter of Bostonian jazz musicians, Erica Dee has been saturated in music her entire life. Growing up on the west coast of Canada, she captured her soundscape amongst an eclectic underground hip-hop and rave culture. Erica began singing with DJs and bands at the age of 18. In her early 20’s her desire to understand the full spectrum of her craft propelled her to study music in college alongside new pop sensation Kiesza. Erica began DJing her live set in 2007, which lead to an invite to write and record in Los Angeles with DJ Nu-Mark of Jurassic 5. That same year she embarked on her first nationwide tour with DJ Shadow and released her classic mixtape ‘Golden’, which combines 90’s R&B flavors with nu house and beat music. She has since captivated audiences from Brazil to Israel, and supported artists such as Justin Martin, Thievery Corporation & Quest Love. 2014 was a big year for Erica, Berlin inspired 6 new releases with producers Nicone, Sasha Bremer & Lars Moston on labels Danze, Suara & King Street. Erica has started off 2015 working hard to complete her first solo album which will be released with Long Long Lost Relative, as well as a new project with Lars Moston & Daniel Beaumann. Erica Dee’s live show is a refreshing experience; she’s an international soulstress that’ll lead you to discover the depths of your own heart, swooning you with melody, rhythm, standout acapella segments & tastefully selected productions. Catch Erica Dee in a city near you! Rainbow Creek Dancers derives its name from a creek that runs behind the village of Massett, Haida Gwaii (Queen Charlotte Islands). The creek only runs in the winter, the ceremonial season and traditional time of the year for songs and dances to be revealed. Rainbow Creek Dancers remains together today, performing in Haida Gwaii and throughout the world. Reg Davidson is an internationally acclaimed Haida artist who creates sculptures, silk-screen prints, gold and silver jewelry, weaving, carved masks and painted drums. He was born in 1954 in Masset, Haida Gwaii (Queen Charlotte Islands), British Columbia. Reg began his artistic training under the guidance of his father, Claude Davidson, chief of the Village of Dadens, Haida Gwaii. Many members of his lineage are artists, including Reg’s well-known brother, Robert Davidson. 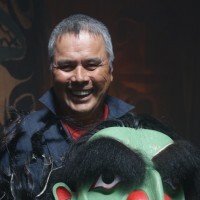 Reg is an accomplished dancer and singer with the Rainbow Creek Dancers, a Haida Dance group that Reg and Robert formed in 1980. Reg designed and created much of the dance regalia for the group including masks, drums, and kid leather dance capes. Reg recognizes the importance of song and dance to Haida culture. In 1977, he worked with Robert on the Charles Edenshaw Memorial Longhouse. In August 1980, Malaspina College on Vancouver Island commissioned Reg to create a 31-foot, 3 figure Eagle crest totem pole for presentation to the Tamagawa University of Japan. This led to a second commission for a pole raised in Old Massett. Reg’s style shows reverence for the masters and has changed only slightly over the years. “Simplicity is the hardest thing to achieve,” he says. 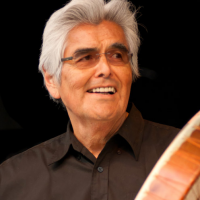 Robert Davidson’s passion to revive and perpetuate a variety of forms of Haida cultural expression, including song, dance and ceremony, has fueled his remarkable output throughout the years. He has been responsible among other things for carving and raising the first totem pole in his hometown of Massett in nearly 90 years when he was just 22 years old. His inspiration was to give his elders a chance to celebrate in a way they had not been able to in their lifetimes. For more than fifty years now, Robert Davidson has worked as an artist and has produced an internationally acclaimed body of work. His work is found in a number of private and public collections including the National Gallery of Canada in Ottawa, the Vancouver Art Gallery, the Canadian Museum of Civilization in Hull, Quebec, the Southwest Museum in Los Angeles. Prize for Lifetime Achievement Award in the Visual Arts in 2010.
she received the 2009 ‘Best Female Traditional | Cultural Roots’ CAMA award. 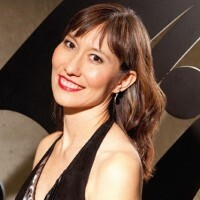 In 2011, Terri-Lynn was named Best Female Artist at the Canadian Aboriginal Music Awards for her first CD of original compositions New Journeys, a collaboration with renowned classical composer Bruce Ruddell and her husband Robert Davidson, who wrote lyrics for some of the songs. Terri-Lynn creates music that is innovative and healing, combining ancient Haida words with beautiful contemporary soundscapes. Motivated to share her culture with a wider audience, and bring renewal to her ancestral language, the CD bridges traditional with contemporary and has been acknowledged with many awards nominations and recognition since its release in 2011. Terri Lynn was born in Haida Gwaii and raised in Skidegate, Haida Gwaii. “Learning the Haida language through Haida songs led to an interest in ceremonies, medicines and other cultural knowledge. I learned that the songs come from the land, and are a reflection of the land. From this basis, I was inspired to become a lawyer to protect the land. All are connected.” Terri-Lynn is the principal and founder of White Raven Law Corporation.